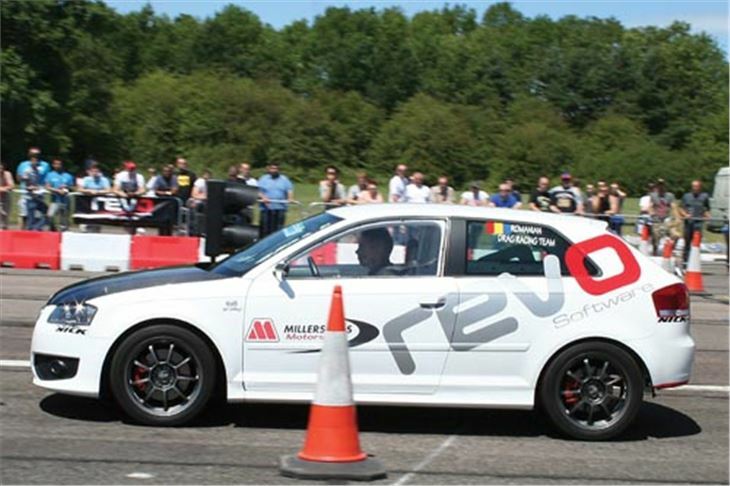 ECU remap specialists Revo has announced its continued support of the UK’s premier VW event: GTI International. The 2012, 25th Anniversary show looks set to offer more than ever before, with a packed itinerary of the UK’s finest show cars, the fastest race machinery, premier extreme attractions and of course, the superbly attended trader’s village. 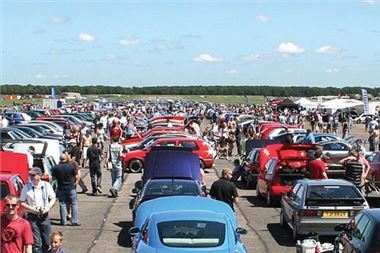 Staying true to its roots, ‘Inters’, as it’s affectionately known, will once again be held at the extensive site of Bruntingthorpe Proving Grounds in Leicestershire. Organisers AutoMetrix Publications and the Team of Show Sponsors are pulling out every stop to make this years’ event that bit extra special. Supported by the Revo Dealer network, expect to see some of Europe’s finest and fastest ‘dubs battling it out head to head over the quarter mile sprint. Can anyone beat the 10.484 second run of Paul Jordan’s Scirocco from last year? You’ll need to be there on the 23rd and 24th of June to find out! Over the coming months keep a close look out for Revo Competition features in both VW Driver and Audi Driver magazines, exclusively aimed at those Inters fans whom purchase early tickets, a monthly draw will take place for free Software installs culminating with a major giveaway of the new Revo 2.0TFSI K04 turbo kit conversion. It’s not all about straight line speed however. Revo’s technical partners Eibach and Bilstein will also be very much in evidence, sponsoring the legendary handling area – offering a tantalising £1,000 prize purse to the three best drivers of the weekend. The Eibach/Bilstein handling area will feature a demanding course and the chance for every show-goer to pitch their driving and car preparations skills against the clock, in order to find the fastest three drivers over the weekend. The fastest time at the event will take home a £500 Bilstein voucher - towards anything they like from the range, with second and third place netting a £300 and £200 Eibach voucher respectively. It’s not only guests that will be vying for top honours at the event. Both Eibach and Bilstein have also invited some of their best-known dealers to enter a ‘Tuner Challenge’. Here, some of the UK’s most finely-prepped cars will battle against each other for the honour of being the quickest professional outfit. One thing’s for sure, it’s going to be an impressive spectacle over the two days of the show. 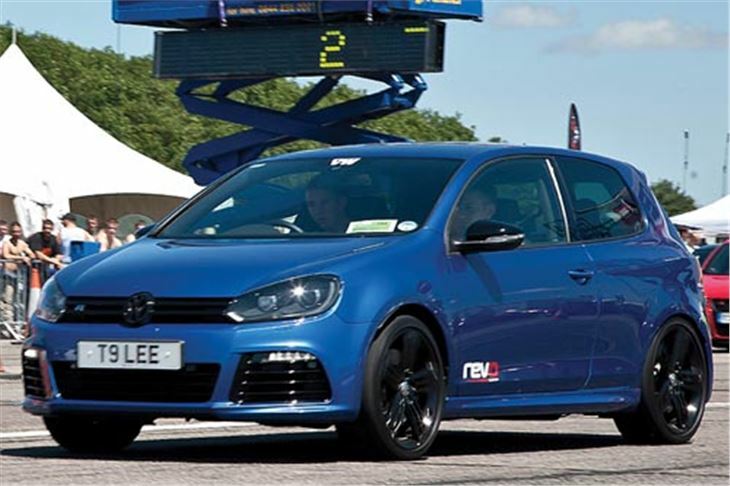 There will also be a Golf GTI race car, completely decked out with a plethora of Eibach and Bilstein upgrades offering demo and passenger rides throughout the weekend, so even if you don’t fancy your own chances at posting a quick time, simply buckle up and enjoy the ride! Eibach and Bilstein technicians will also be on hand to offer fitment and set-up advice completely free of charge, so there’s no excuse for leaving the show without a thoroughly sorted chassis. Another VAG scene stalwart will also be joining the impressive line-up. Milltek will be sponsoring the grandstand as well as showcasing their latest wares for Volkswagen Group cars alongside Revo. Other favourites will be the show and shine, sponsored by Meguiar’s- with great prizes on offer for the finest cars, a mobile dyno, club displays, autojumble and plenty for the whole clan to do, over what promises to be a fantastic family weekend. Mixing it up a little, Revo will also be laying on a return of the BMX Tricks alongside a series of death-defying Freestyle Motocross displays, courtesy of UKFMX – and even a full, festival spec, computer-controlled firework display for the Saturday evening. but, alongside the organisers, we are working together with our select technical partners at Milltek, Eibach and Bilstein, to coordinate our sponsorship support. We reckon the mix will generate the best itinerary yet – including a little bit of extra fun around the edges to make it even easier to bring the family along. It’s going to be an amazing line-up – and we hope to see all of you there." With the Fireworks Spectacular to celebrate 25 years of the show, the (extra cost) pitches for camping are likely to be even more popular. So, load up your Dub with barbie and beers, saddle up your mates, your family and your tent and head to Bruntingthorpe for the 23rd of June. It’s going to be the best Inters yet!